The Belmond group knows how to look after their guests. Whether it’s succeeding in combining comfort with luxury, spoiling the senses with views that will take your breath away and cuisine that’ll leave your tastebuds feeling ecstatic, or simply dependable, friendly and perfect customer service from each and every member of staff. I was fortunate enough to expereince all of this myself recently when I spent nine days in Italy and got to live the Belmond experience first-hand. I spent time in Florence with Belmond Villa San Michele, in Sicily with Belmond Grand Hotel Timeo, and in Portofino with Belmond Hotel Splendido. Each of them has its own personality, its own appeal and its own charm. 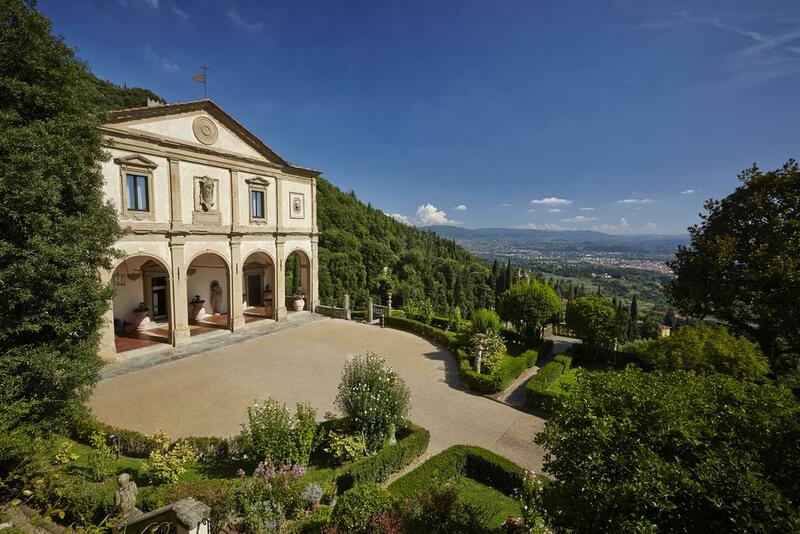 Located in the Fiesole hills, this hotel offers unbeatable views of Florence. This former medieval monastery has a steady flow of guests from all over the world including the US, the UK and the Middle East, all cast under a spell of Renaissance magnificence. The artwork here is exceptional and you could find yourself lost in the building, enchanted by what’s on display throughout. From the sculptures out the front to the paintings inside. Interestingly, the hotel is making bold efforts to mix their Renaissance art with modern pieces, and have hired the talents of graffiti artists – both local and from around the world. 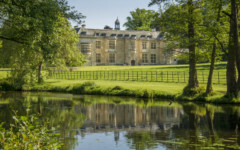 Though this has been slowly filtered in this year, the response has been positive, so efforts will be made during the winter break (the Belmond group closes its hotels in November and they reopen in March/April) to further this new presence. Watch this space. The rooms are spacious and well kept, as you’d expect, each one coming with its own private front garden – perfect for enjoying an espresso, the sunshine and a good book. There is a regular shuttle bus that takes guest to and from Florence’s city centre, but the real appeal is the hotel’s isolation. You can go for a hike through the woods or simply relax by the pool, on the lawn or whilst enjoying your meal or aperitivo and just allow yourself to drift off, swept away by the power of such hypnotic views. Based in Taormina – which has got to be the jewel in Sicily’s glorious crown – Grand Hotel Timeo is the opposite to its Florentine cousin, in that it’s not isolated at all. 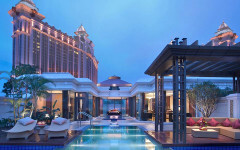 It’s right in the heart of the gorgeous little town, with throngs of tourists lined up outside taking photos of the hotel itself; the glint within the jewel. It’s impressive how well the hotel has managed to separate the hubbub and energy outside its main doors to the sheer bliss and relaxation you can get while lazing by the pool or taking a stroll through their wondrous gardens. The most captivating thing about this place though is the view: Mount Etna, Europe’s largest active volcano, is right opposite. It is, in a word, incredible. Have your camera at the ready because you’ll want to take a photo each time you see it, in an attempt to almost capture the feeling it has over you at the time. Simply glorious. 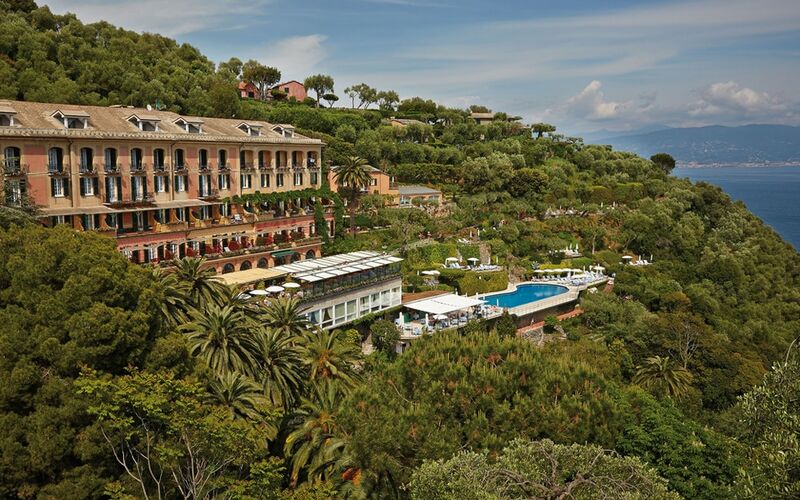 Twinned with its sister hotel – Belmond Villa Sant’ Andrea – you can get a shuttle bus down frequently throughout the day; it’s just a short 10 minute journey. The best thing about this place is that it’s got its own private beach, which is an absolute must. Goes without saying really. What’s more, included in your stay will be a complimentary boat ride on one of the days, which takes you out to see the fantastic Sicilian views from the water, as well as caves and rock formations located in the sea. You won’t be disappointed, at all. The Italian Riviera is the ideal playground for boutique shopping, fresh seafood cuisine and scenic strolls. 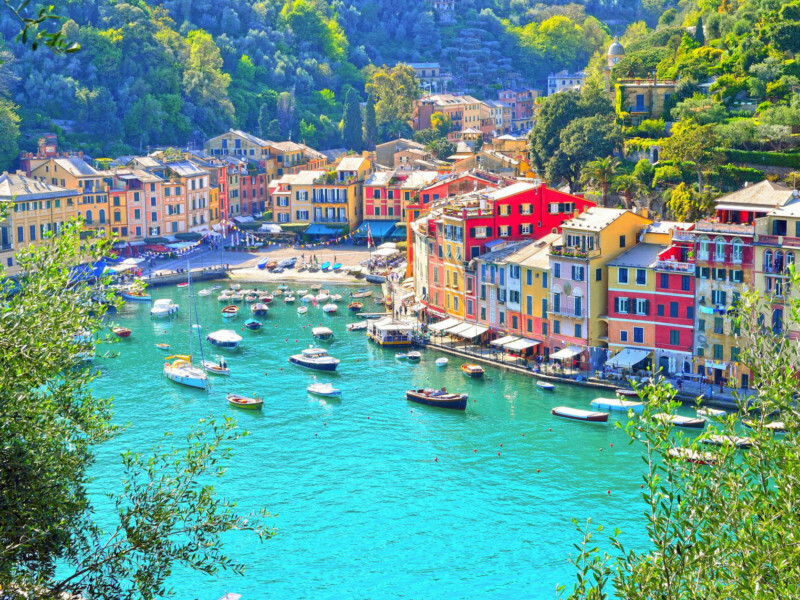 And Portofino is the go-to spot for this leisurely mix. 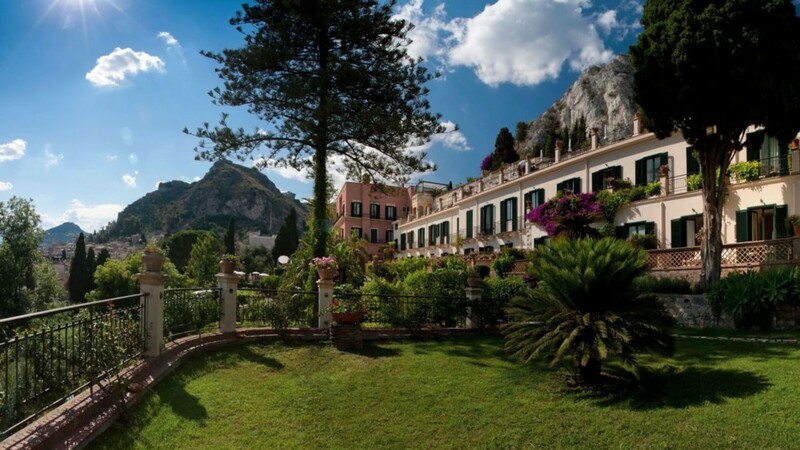 Richard Burton and Elizabeth Taylor returned time and time again and often stayed at Belmond Hotel Splendido, another former monastery. Nestled high above the port town, offering dreamy views, the magnificent hotel is a casual 10 minute stroll from the town centre – a red carpet leading the way, nonetheless. As mentioned already, the Belmond Group close over the winter period and it was only last winter that balconies were added to rooms with a waterfront view – perfect for a morning coffee or evening champagne. More is expected to be done this winter, so watch this space. Twinned with its sister hotel – Belmond Splendido Mare in the heart of the harbour – the seafood cuisine is an absolute must. Freshly caught locally at 5am the same day, you’ll be overwhelmed by the platters – both for starters and mains. The starter platter is raw, a first for myself. Dressed with your choice of simple seasoning, olive oil, wasabi or soy sauce, the fish was exquisite – a worthy recommendation from the restaurant manager. The main course, however, was sublime. The tuna medallions in particular were superb. The best tips I can offer is to order this, take a boat trip out to see where you’ll be taken to the area of the Christ of the Abyss (a statue of Jesus submerged underwater that’s a must see) and climb up to Castello Brown opposite the town centre for picture-perfect panoramic views, filled with colour that’ll take your breath away and make you never want to leave. * Writer’s tip: Given the uncertainties surrounding certain airlines that have caught the news recently, I’d recommend flying with CityJet. The Irish airline flies from London City Airport to various European destinations such as Florence and has been steadily going from strength-to-strenght quietly since 1993. It’s a true pan-European airline that’s reliable and efficient. Sit back, relax and have a drink on them during your flight. Cheers to that!